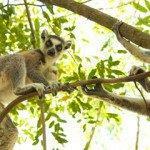 Air France: Fly to Madagascar from Italy from €484 or Germany €536! Cheap non-stop flights from Spain to Chile or Peru for €301 roundtrip! Etihad Airways flights from Belgrade to Bangkok in peak season from €374! Air France is giving you some great chance to book very cheap return flights form Italian cities to Madagascar from €484 as well as from Germany already for €536. Look for flights departing from Bologna, Turin, Milan, Rome, Venice, Florence, Naples or Genoa. or Hamburg, Berlin, Munich, Stuttgart, Hannover, Frankfurt or Dusseldorf. Take the opportunity to explore one of the most unique places for such an affordable price..
Deal from Italy is available from September 2017 to May 2018 except blackout period around Christmas Holidays. If you consider to book deal from Germany using this Air France discount code note that it is only possible till end of the year 2017. Otherwise you can book slightly more expensive flights also in first quarter of 2018 when booking via various online travel agents. (Compare via Skyscanner).. Promotion is available till 8th of August. Max stay 1 month. Want to secure your accommodation in Antananarivo in advance we recommend Booking.com or Hotels.com. Germany – Antananarivo from €536 (When using this Air France promotion code. Travel sample 20.9. – 2.10. from Hamburg also see below our booking sample. Only works via Air France DE website). Booking sample of this promotional sale of Air France: Fly to Madagascar from Italy from €484 or Germany €545! As mentioned above this time we have selected deal based on direct booking with carrier using currently available Air France promo code. You would be departing from Hamburg to Antananarivo on 14th of September. Your return flight from this famous tropical African island back to Europe would be then on 2nd of October 2017. By using above Air France voucher you would easily save €75 off..